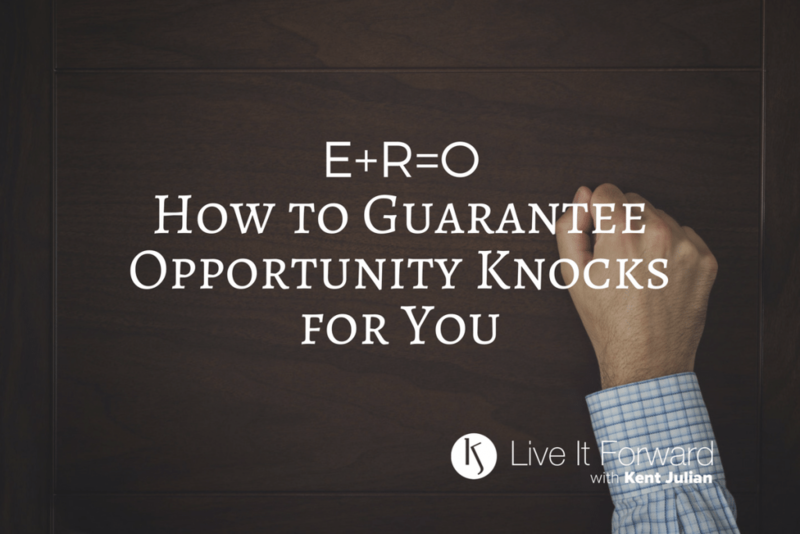 Opportunity knocks and expands like magic when you live E+R=O! The opposite is also true. When you refuse to live E+R=O and instead live E=O, opportunity shrinks away from you and your options become limited. This is the first of two episodes in which we examine how living E+R=O (event + RESPONSE = outcome) works to expand your opportunities in life and business. You can guarantee opportunity knocks and expands for you in your life and business by living E+R=O and paying close attention to the 4 Fence Posts of Response-ABILITY. 3) What are the 4 Fence Posts of Response-ABILITY? 4) How can you guarantee opportunity knocks and expands for you by paying attention to the 4 Fence Posts of Response-ABILITY? – The Success Principles by Jack Canfield — Jack shares how he learned E+R=O from one of his mentors, Dr. Robert Resnick (BTW, The Success Principles is an excellent read and one of my all-time favorite books). – Who Wants To Be Normal, Anyway?! by Kent Julian — In this book, I share the difference between E=O and E+R=O, and then spend four chapters explaining the 4 Fence Posts of 100% Response-ABILITY. – Text the word FORWARD to 44222 to get the SLIDES on the 4 Fence Posts of Response-ABILITY from Kent’s keynote presentation.